Backcountry food has come a long way from dehydrated ice cream and ramen, but there’s still a lot of room for improvement. 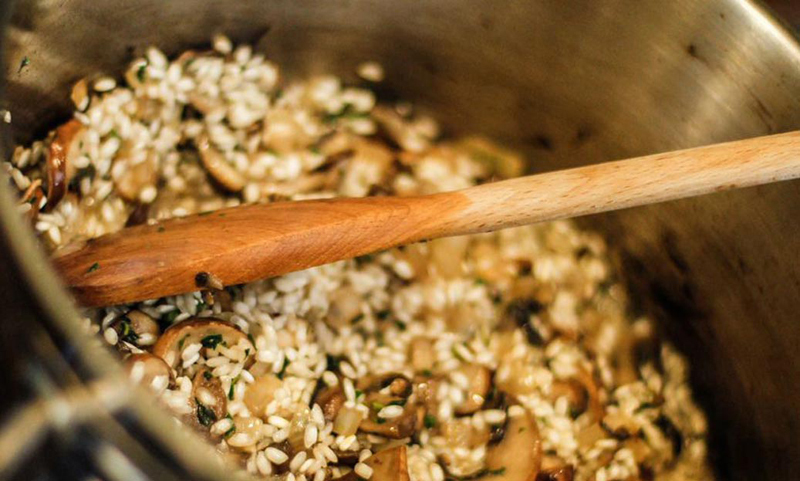 Meet one chef who hopes her cooking makes your backcountry dinner a little more delicious. An accomplished chef, former co-owner of a highly regarded New York restaurant and “Iron Chef” winner (she was part of a team that beat Iron Chef Mario Batali on TV), Jennifer Scism has taken her skills in the kitchen and applied them to the world of outdoor adventure. 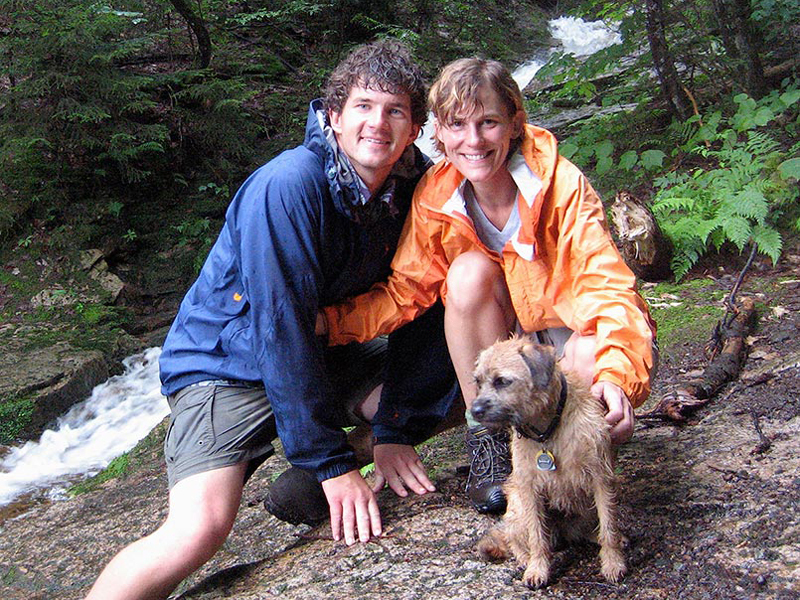 She founded a new company, Good-To-Go, with her husband David Koorits to offer gourmet dehydrated food entrees for the backcountry enthusiast. Good-To-Go is new to the market. I was able to test its food on a recent trip. 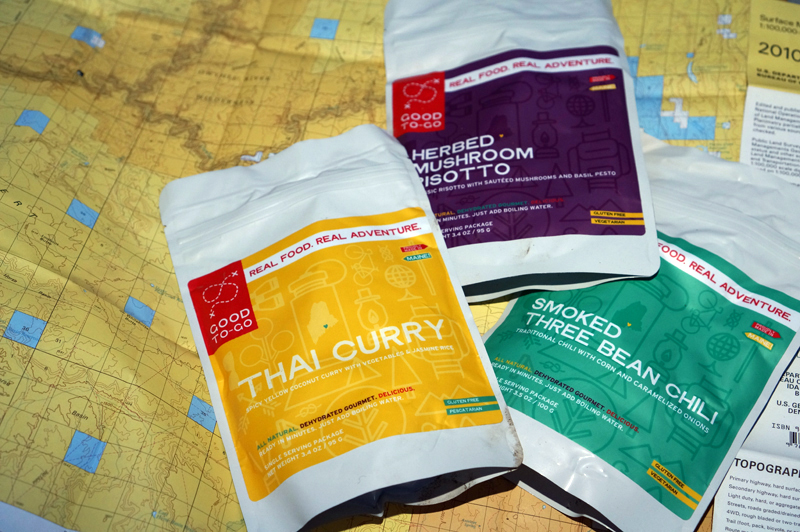 I brought three entrees on a 130-mile bike/pack-rafting trip in the Owyhees: Thai curry, herbed mushroom risotto, and smoked three bean chili. The meals are offered in single ($6) and double ($9) servings (300-400 calories per serving). The price is competitive compared to other dehydrated meals and the flavor is outstanding. Thai curry was my favorite (it got better with each bite), though the spicy three bean chili was a close second. GearJunkie: Tell us about your adventures. What do you like to do? Jennifer Scism: I love the Southwest, it’s the most beautiful place. The weather is amazing and the adventures you can have are endless. My husband and I have been there several times, he lived in Utah before we met. Each trip is filled with something new. We’ve backcountry skied. Mountain biked Moab. Backpacked through Canyonlands, Arches, Zion, Bryce and made our way to Arizona for a Rim to Rim trail run of the Grand Canyon. We planned to climb in Red Rocks but David, my husband, broke his toe on our hike up the Narrows in Zion so that’s still on the to-do list! I moved to Maine four years ago because of all the things you can do right in your own backyard. I have the luxury of trail running ¼ mile from my house. I can jump in the ocean anytime I want, (it’s Maine, I do own two wetsuits). I kayak, canoe and paddle board all summer long. And when we need some altitude, we travel an hour and a half from our house and hike the hundreds of trails in the White Mountains. What do you like to cook when in the backcountry? In the past, when I’d go out for one night, I’d bring fresh food. One of my favorite meals was marinated steak tips, which I cooked over the fire. I packed blanched green beans and garlic in a vacuum-sealed bag so I could do a “boil-in-a-bag” thing with those. I filled up a Platypus with a cabernet and a big bar of dark chocolate for dessert. It was awesome…and heavy! On a trip with friends we passed some ultralight backpackers. We asked how long they were out for with their tiny packs, they said three nights. Our bags were three times their size for just one night. Since then, I’ve retired my 50 lb. pack for a small and snazzy Osprey. Do you pair meals to your adventures? Not so much for the adventure, but I do match on a more seasonal basis. Most of my overnights are in places that, even in the summer, still get chilly at night so a hot meal is always the way to go at the end of the day. What food item can’t you live without in the backcountry? Before my company launch, I always brought olive oil and kosher salt. Now, I always bring chocolate, Starbucks VIA instant coffee and Coffee-Mate. My Jetboil and my Guyot squishy bowl and cup. I just love them! I look forward to backpacking just to break out those bowls. What was the biggest challenge in making food backcountry-ready? As a French-trained chef, when I was working in the restaurant everything that I cooked was to be eaten that day or perhaps a day later. Fresh food, made fresh for the diner. Now, I have to take that same motto, fresh food, but tweak it so that it’s lightweight and shelf-stable. As I dehydrated (and then rehydrated) my first few meals, things wouldn’t always come back the way that I imagined. I wanted it to be just like the home cooked meal I had initially made. I’ve gotten pretty savvy since then. Through testing and trial and error, I’ve develop techniques that help reconstitute meals to my standards. I also have an amazing dehydrator, it makes my table-top version look like an Easy-Bake Oven. You currently offer 3 meals. Why these three first and what is in the dehydrator next? The first three are all meals that I was already making on a regular basis. 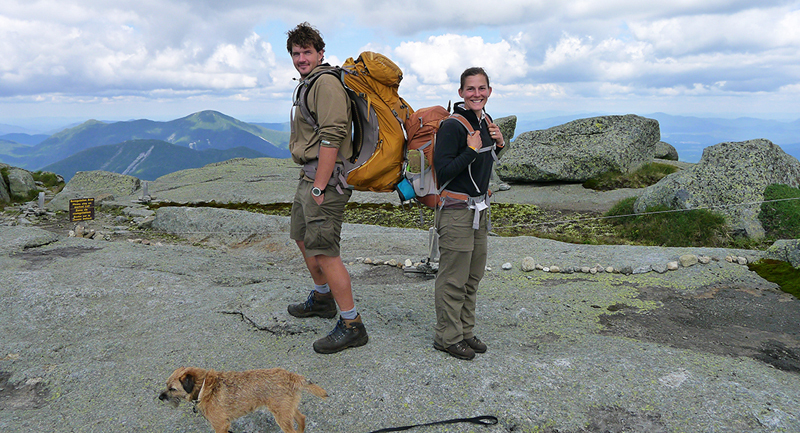 When David and I were planning a week in the Adirondacks two years ago, we wanted to go ultralight. I wasn’t thrilled with the options out there and knew that fresh food was anything but ultralight, so I started tooling around with my own comfort food recipes and table-top dehydrator. At first it was very much experimentation. Once I got a recipe that would rehydrate properly and was delicious, we were psyched. Our next meal is a Classic Marinara and Penne. That should be on the shelves in a couple months. I’m now HACCP certified (you need this to process meat), which means I can start on recipes like Chicken Tiki Marsala and Pulled Pork Chili Mac and Cheese. I also have to make a nod to my home state of Maine and create the most delicious Blueberry Crumble anyone has ever had, in a bag or not! Any tips for getting the best out of dehydrated meals? Sit back and relax with a good après beverage, soak in your surroundings and give the meal some time to absorb! Good To-Go is available online and through East Coast distributors.